Thank you VERY much to the NHM Secret Writer who wrote today’s Review!!! Thatcham Discovery Centre sits within a reserve that has a range of different habitats including a lake, meadow and woodland areas and is adjacent to Thatcham Reedbeds. It also includes adventure playgrounds, cafe, shop and visitor centre with interactive wildlife and natural history displays encouraging visitors to find out about the local wildlife. Around the reserve are a network of footpaths, ranging from small family-friendly walks to longer walks. A map of the reserve can be found here. 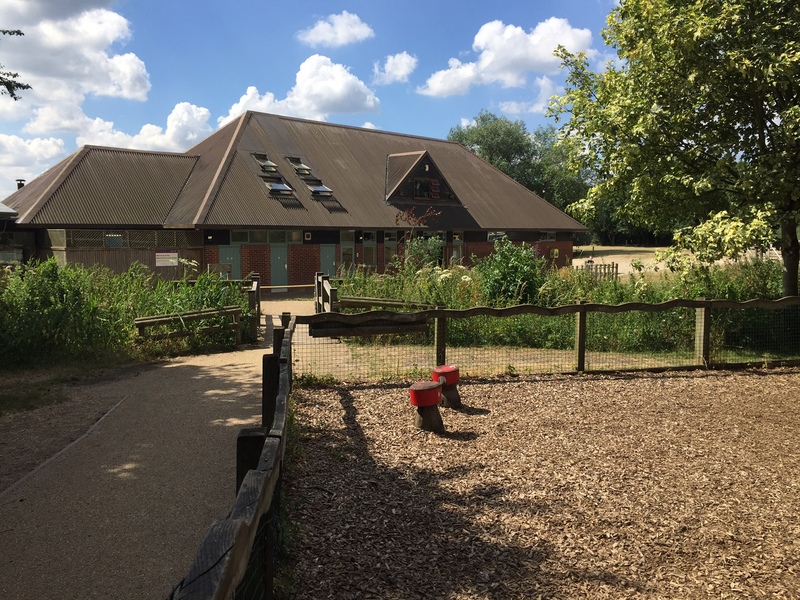 The Nature Discovery Centre offers a wide ranging and varied programme of events throughout the year including hands-on wildlife activities, craft workshops, walks and talks. You can find out more about the centre on the Thatcham Discovery Centre facebook page. We had been told about Thatcham Discovery Centre before and so were quite keen to visit. 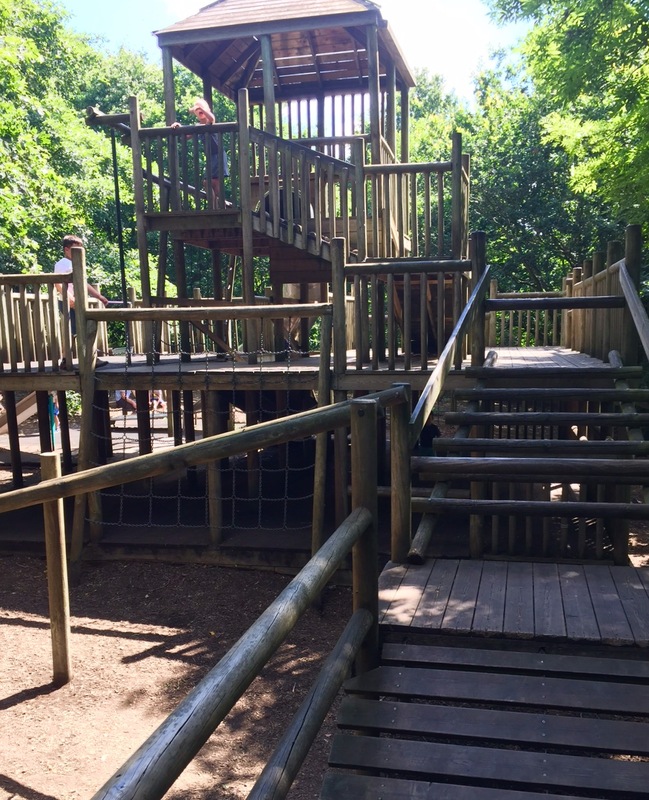 The first thing we saw when we arrived was the adventure playground, which our toddlers loved! 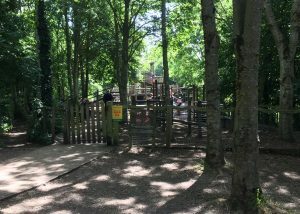 It is supposed to be for 8 years plus so they recommend younger children play in the other playground at busier times. Fortunately it was quite quiet so the boys had a really good run around whilst being nicely shaded from the sun on a very hot day! 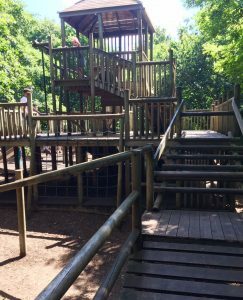 We did visit the other playground, aimed at 3-8 year olds, which was a good size but not shaded so we didn’t stay too long this time. The centre itself covers a small area over two floors offering interactive displays including jigsaws, soft toys and brass rubbings. The area upstairs has a lovely view over the lake. There is a small shop selling a variety of books, toys and sundries. In the centre there is also a cafe which opens up onto the lakeside, with tables overlooking the area. There was a limited menu when we were there, and a note apologising for the minimal food that day, but there was still a good amount available and the cake was amazing! We didn’t go on any of the walks as it was too hot to be dragging toddlers around, but we will definitely be doing so next time. I am also keen to try out some of the events, especially the Bird of Prey event which looked very interesting. All in all it was a great visit with lots still left to explore, especially with the events programme. Whilst the centre is quite small, it is free and offers a lot of information. The view at the lakeside is amazing, I could have sat there for ages. 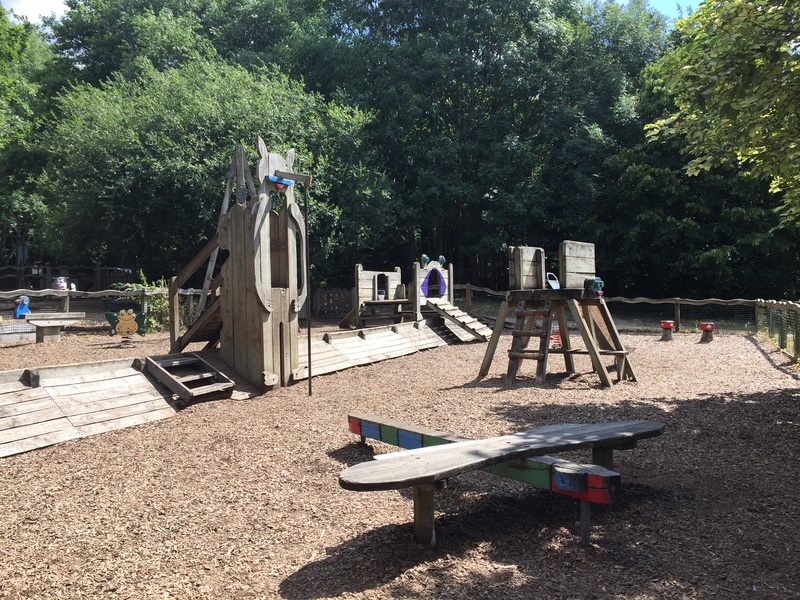 It is a great place for children to burn some energy, learn about nature, as well as being an enjoyable experience for adults. 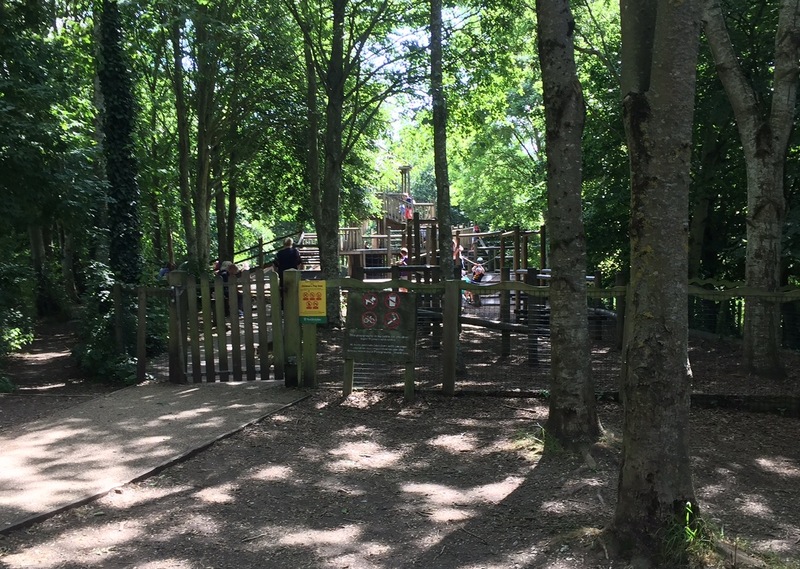 The older adventure playground is a great place to go when it’s too hot to be out in the sun as it’s shaded by trees. Dogs are allowed but not in the water and under close control. No picnics inside during busy periods. 8am-10am every Saturday and Sunday. 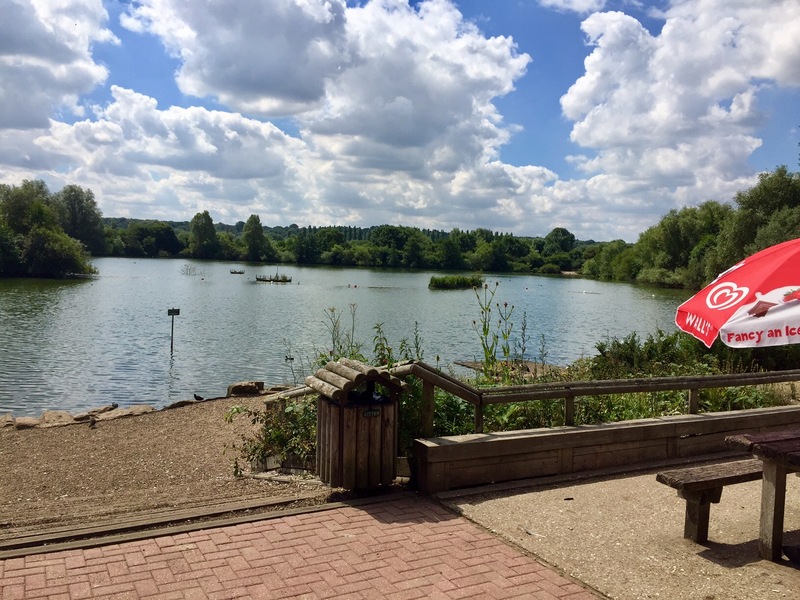 Car park is open from 8am every day with closing subject to seasonal changes.